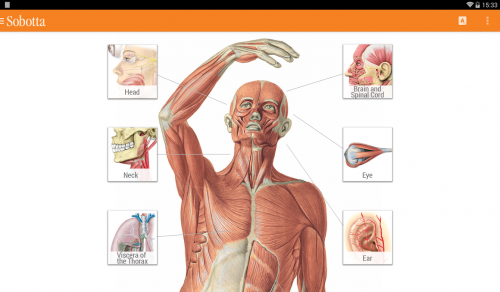 Overview: The Sobotta App enables you to hone, review and test your anatomy knowledge on the go so that you are prepared, not only for your anatomy tests and exams but also in practice. Around 250.000 new users used the Sobotta Anatomy App to help them succeed in 2016 alone. - Head, Neck and Neuroanatomy.